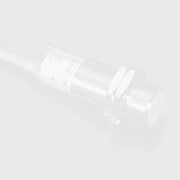 Looking for an optical line- or area-sensor with a dynamic-range of 20 Bit linear. At least 500 pixel. 100 frames per second. requirement of application on locomotive engine. Our company is looking a competitive sensor manufacturer for dimensions, position, angle, displacement measurement. - Output: mV, 0-5 or 0-10V or 4-20mA. - One Pressure Transducer, 0-150 psi, at 400 degrees F, with 4-20 mA output. - Two current to pressure converter, 4-20 mA to 2-15 psi. Please quote, and give the shortest delivery. 1. Thermocouple Probe for liquid Range -196/ +1090 deg.C. The handle should stand 125 deg. C. The Cable should withstand 105 deg.C. 2. Thermocouple Probe for liquid Range - 50/ +1000 Deg. C.
The handle should stand 50 deg. C.